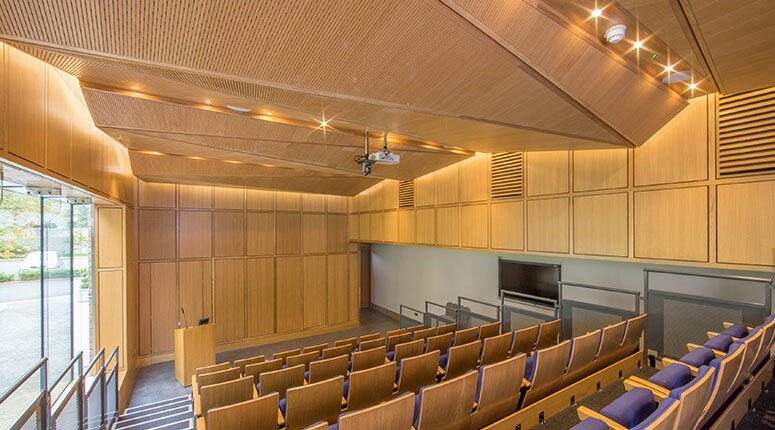 Kildangan Stud Farm is the Irish home to the Godolphin breeding and horse racing stable founded by His Highness Sheikh Mohammed bin Rashid Al Maktoum, Vice President and Prime Minister of the United Arab Emirates and Ruler of Dubai. 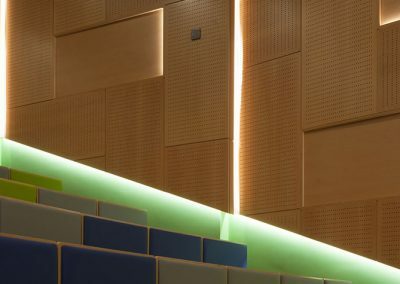 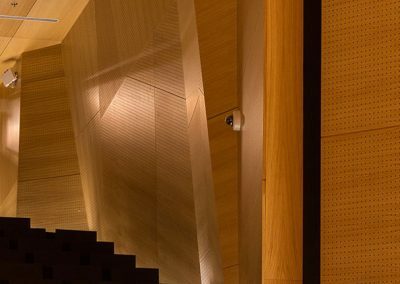 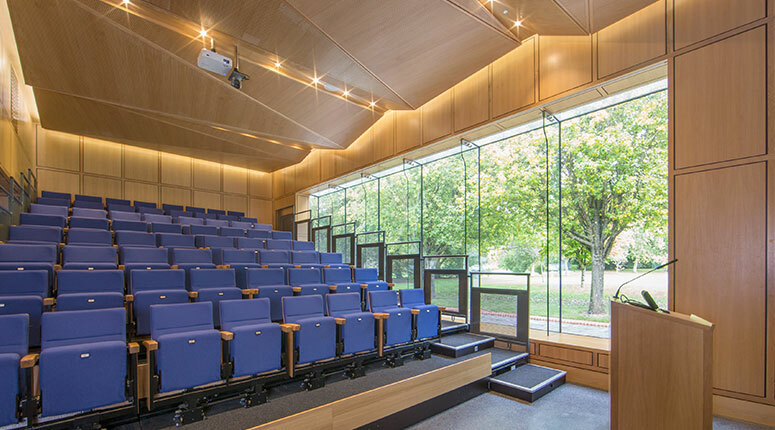 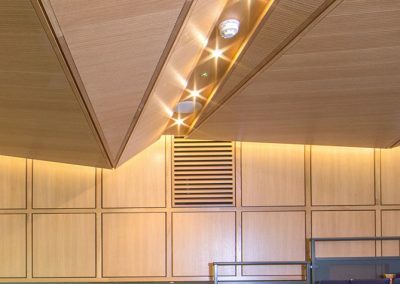 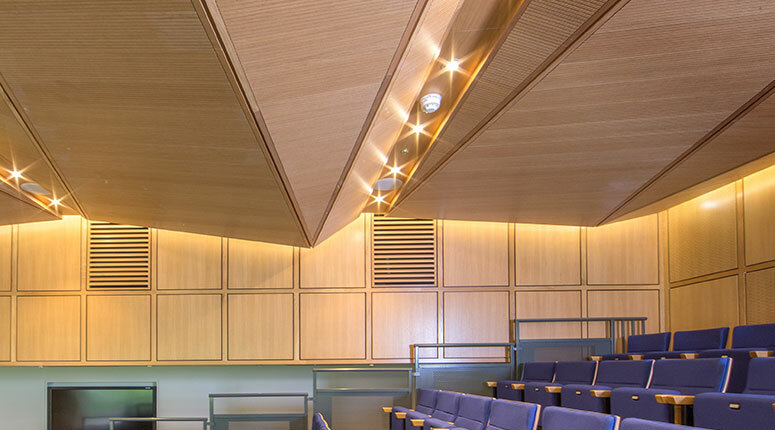 Woodfit provided acoustic and non-acoustic wall and ceiling panelling for the newly built “Cape Cross” conference centre, named for one of the farms most successful stallions. 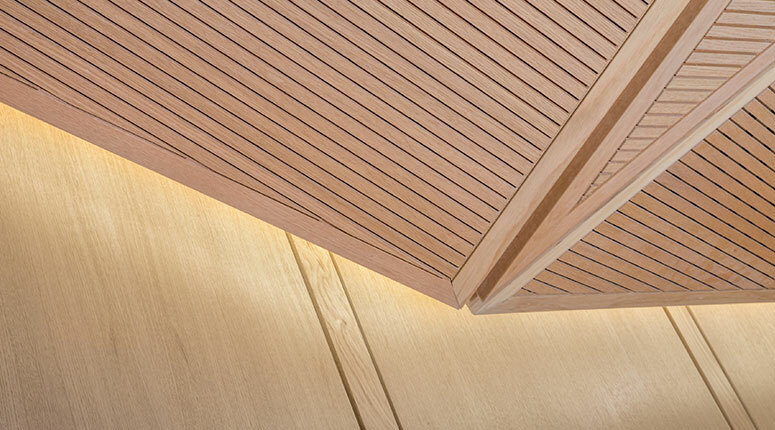 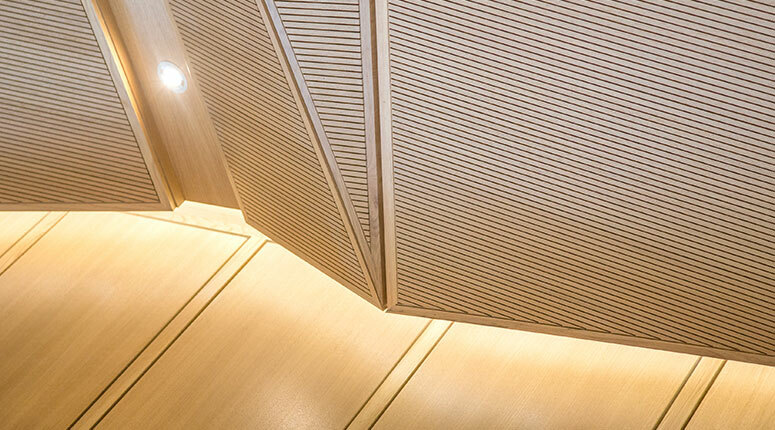 The centre piece of the new facility was the conference room itself which featured an angled ceiling structure with white oak linear panels framed within solid oak trim. 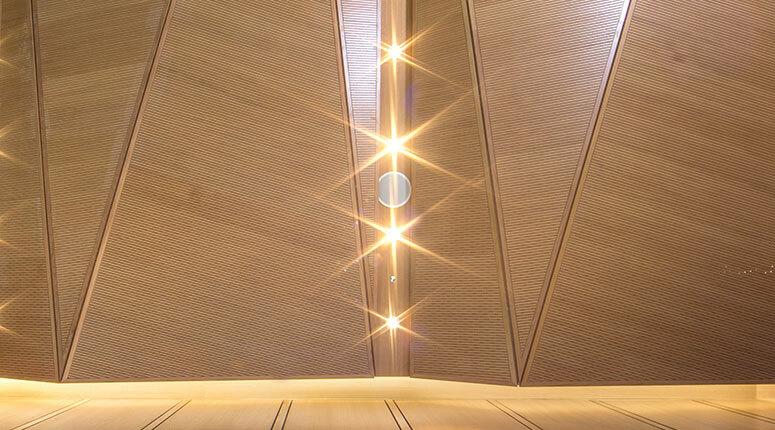 The complexity of the ceiling presented a formidable constructional challenge and today it acts as a proud showcase of Woodfit’s skills and capabilities.